According to a study completed by Robert Half, 36 percent of 1,400 executives surveyed said that the leading factor of a failed hire, besides from performance problems, is poor skills matching. If hiring managers truly want to know about the kind of talent that is available to them, then they need to be mindful of actions that can hamper their interviewing efforts. In the end, it’s all about bringing out the best in talent. According to CareerBuilder survey, 68 percent of hiring managers spend two minutes or less reviewing resumes. Interviewing is about creating the best possible atmosphere for understanding whether or not a candidate has the personality, set of skills, and motivational drive to succeed within the organization. To do so, it requires preparation and discipline from the interviewer. 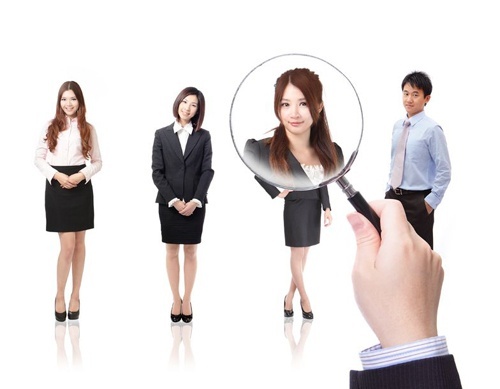 HR managers should spend adequate time studying the strengths and weaknesses of any candidate before he is interviewed. An attempt must be made to forecast the job-fit potential of any candidate before he enters the interview.This will ensure that the focus of the interview is right. Digging deep into the candidate’s strengths will unearth how useful he can be in a particular job role. It is vital that as interviewers we make the interviewee comfortable..The standard method of creating a pressure situation will only alienate the candidate .If the candidate feels awkward or uncomfortable we may not see the candidate at his best. Definitely as part of understanding the candidate better we may wish to see how he responds to pressure but that cannot be the sole focus. The main focus has to remain unearthing of the potential of the candidate and suitability for the job in question. We need to engage the candidate and dig deep. Interviewing candidates should come with a game plan that speaks to finding who the interviewees are by making them part of the conversation, not alienating them. If a candidate came close to being hired, why not invite them to connect on LinkedIn? Ask them if it’s ok to check-in with them in the future if another position opens up. Keep them in the loop. Remember, bad hires are costing 41 percent of organizations at least $25,000 per hire, according to a survey published by CareerBuilder. Building a talent pool that you have established some familiarity with is worth taking a second look at. According to a Modis infographic, 80 percent of bad hires happen because of poor hiring decisions. That’s a little awkward, don’t you think? But it doesn’t have to be this way. Obviously, employers won’t hit a bullseye with every hiring decision they make. Still, interviewing can be less awkward if the right measures are taken. And this is a must, because hiring is a costly business. not letting potential employees fall off the grid. In a market survey conducted in Pune and Bangalore by Interview Mocha, an online assessment company working in the IT domain, we got the following results. 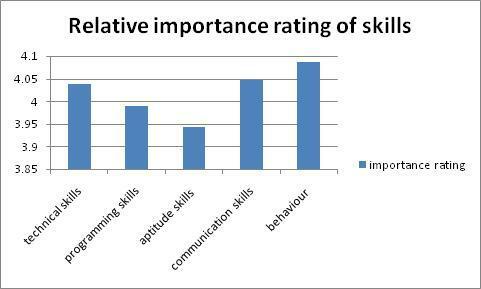 This indicates that all the skills need to be assessed. 1] Can aptitude skills such as numerical ability, verbal ability, logical thinking and comprehension be uncovered in an interview? Wouldn’t a written test be more effective? 2] For technical skills wouldn’t a combination of written test and human interview be ideal? 3] Maybe, communication skills alone can be judged in a human interview. 4] Can behavior skills be tested thoroughly in an interview? Wouldn’t a psychometric test be a better indicator? Courtesy – Fernando Ramirez for some sections of this blog.